Many people suspect that their dog is exceptionally smart. 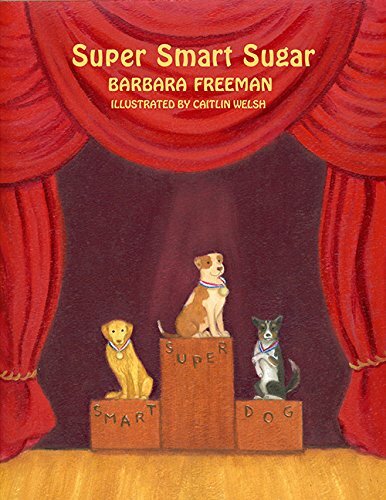 Super Smart Sugar, the author's family dog, is intelligent and humorous. This book describes real situations that show Sugar's talents and skills. Readers are encouraged to identify their dogs smart traits and compare them to Sugar's. Many readers will find that their dogs are intelligent, witty and loving. This book recognizes Sugar, an American Pit Bull Terrier, as an intelligent, humorous and cleaver dog. The book is complemented with an educational page about the intelligence of dogs and dog intelligence ranking, as well as a quiz for kids to identify their dog's performance and skills. Available for purchase from Amazon and Laredo Publishing Company, and any Barnes & Noble Booksellers.